Without the module: When you use “Product Combinations Generator”. 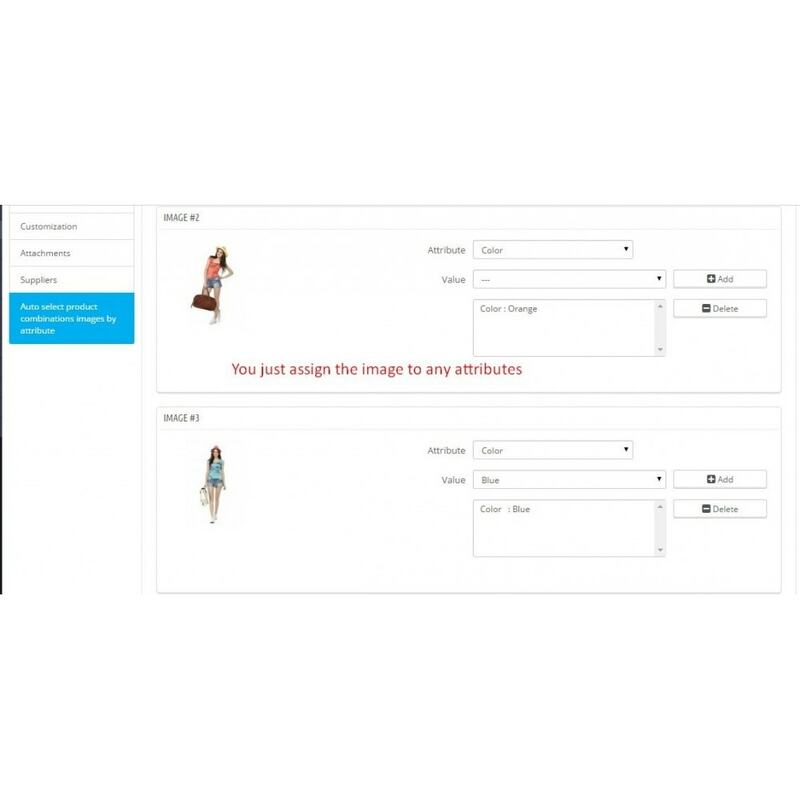 After complete generate, you will have to select image for each combination by manually. You will have to do 30 times if you have 30 combinations. Step 1: Select the image for attribute. “Done”: The images will be automatically assigned to each combination by attribute. It will save much time for you. Without the module: When you have a new image for an exist product. 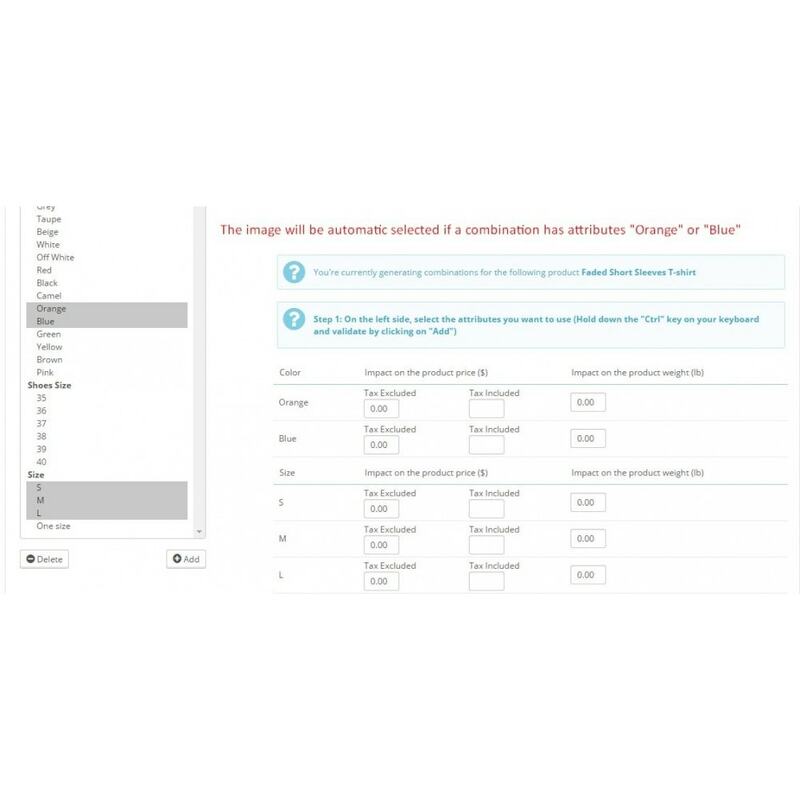 You want to assign the image to an attribute. You will have to edit 10 times if there are 10 combinations which has the attributes. Step 2: Assign attribute for the new image. Then the image will be automatic assigned to any combinations which has the attributes. And you must not edit each combination to assign new image. Without the module: When you add new combination by manually. You will have to choose image for your combination. If you use the module: You mustn’t select the image. It will be automatic assign when you click save by attribute that you selected. 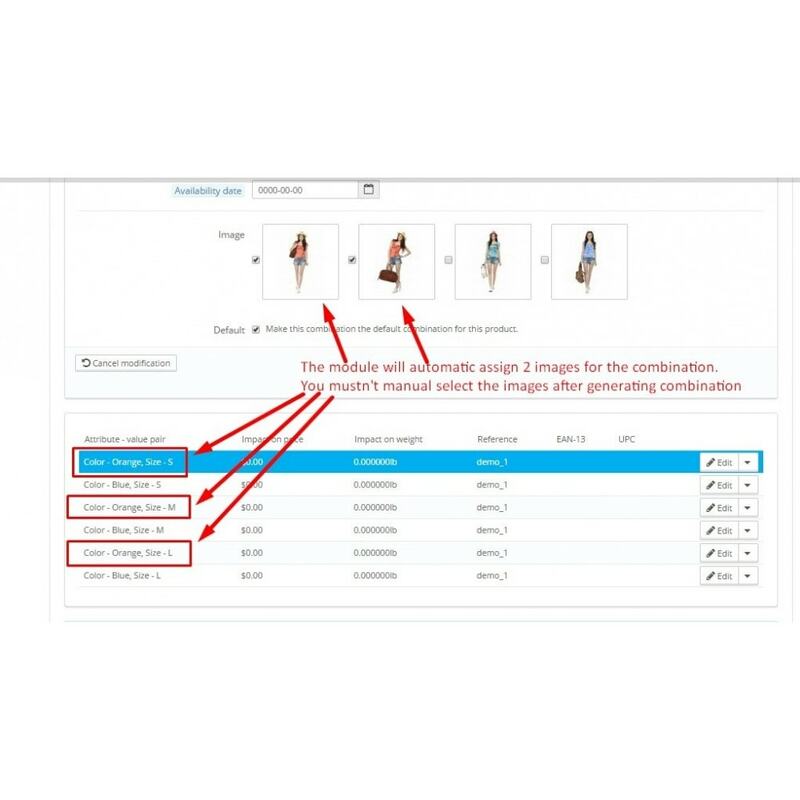 The images will be automatic assigned to combinations by attribute when you generate or create combination. You don’t need select image when you create combination by manually. You also don’t need select image for combination when you use “Product combinations generator” feature.